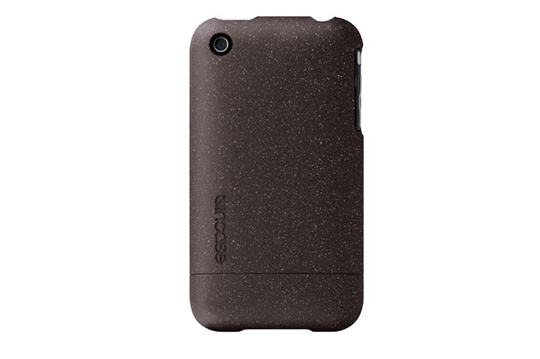 I even stayed strong after dropping my iPhone one too many times, and a tiny crack appeared in the base; instead I decided it was time to get an iPhone cover, so I began researching eco-friendly covers. 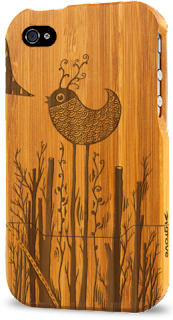 If I had an iPhone 4 I would absolutely purchase a gorgeous, artistically designed bamboo cover like this one by Grove. Isn't is divine?! Sadly they don't make them for iPhone 3 anymore. I'm devastated. Instead I bought an Incase Bamboo slider made from 40% reclaimed bamboo shards - this means the bamboo pieces are being saved from the landfill and protecting my iPhone at the same time. Love it! Like Grove, Incase appears to have discontinued iPhone 3 covers, but I found some on eBay and promptly ordered one in Eggplant. I didn't think I'd like having a cover on my phone, I've always loved the sleekness of the original design. But when I hold it in my hand and feel the tiny bamboo pieces I'm reminded that I've done the best thing for the environment. Actually, it's sort of like having a whole new phone after all - a fantastic fix for this still-recovering shopping addict!